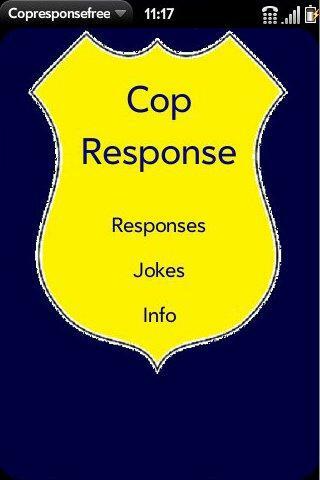 Cop Response Free has witty and funny responses for practically every situation that may arise when you get pulled over. 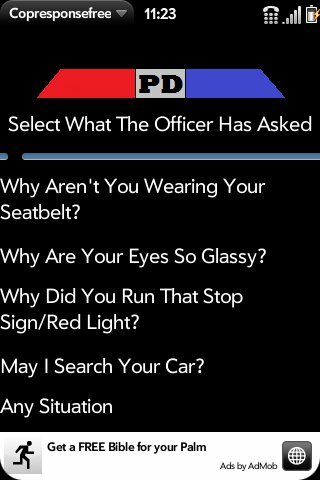 Simply select the question that the officer has asked and receive a variety of responses. In between your run downs with the cops enjoy some of the included cop jokes. If you're a law abiding citizen then you can enjoy the responses and jokes by yourself or with friends.